I had my eye on Aqua Cycle in New York for over a year. A spinning class done in the water on submerged bikes seemed pretty spectacular, couple that with an ambiance of classical music and candles and I was sold. I had several awkward moments, the first happened before I even got to the pool. I was trying to sneak by a naked woman in the locker room without rubbing up against her and I fell against the wall hitting the light switch which in turn cast part of the locker room into darkness. Thankfully my friend Emily was with me and I got to share a laugh with her, one of many to occur in the hour long class. It’s rare for me to purposefully put myself in a situation where I am in a swimsuit in a pool with strangers. I remedied this by wearing a tank top and workout pants, which worked fairly well until the crotch of my pants snagged on the seat during a move that had us placing our hands on the bike seat and and lifting ourselves on to the bike from behind. The class instructor Emma Galland, is a certified holistic health coach and nutritionist as well as the author of “Feeding Success” and the owner of Goji Fitness, and if that wasn’t enough she has also co-created a vegan, organic superfood protein powder called Zenberry. I was very impressed with Emma, her entrepreneurial endeavors as well as the way she effortlessly led our class with a cast on her arm. She adjusted my bike for me, and due to my height I stuck out of the water far past my neighbors, it felt a bit like I was back in elementary school towering over my classmates in our school picture. The bike has no resistance dial like in an above water spinning class, the resistance is solely up to the rider, at first it felt like riding a bike with a broken chain with my pedals spinning fast and in an uneven jerky sort of pattern but soon enough I got into a rhythm and must have been doing something right because my leg muscles were on fire! 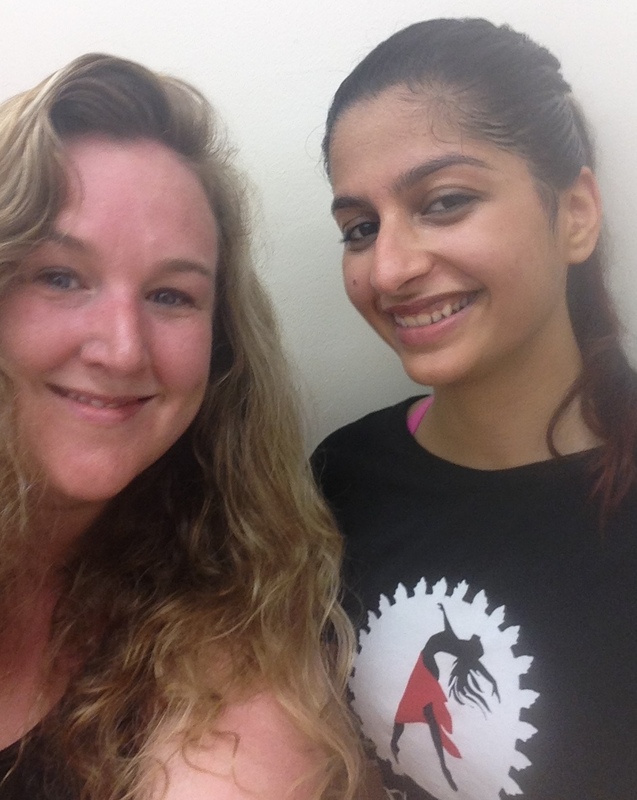 We moved our way through three positions, sitting, standing and finally pedaling while floating behind the bike. 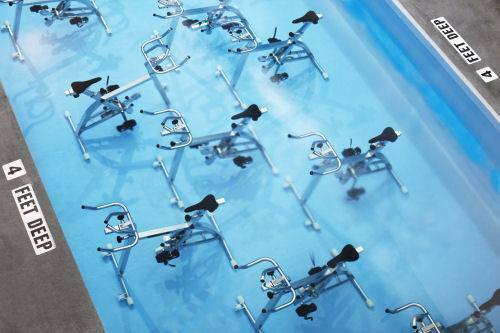 Aqua Cycling is popular in Europe but currently the only place to spin in a salt water pool is in TriBeCa. The classes are a bit pricey but if I lived locally I would try to find a way to support the habit. 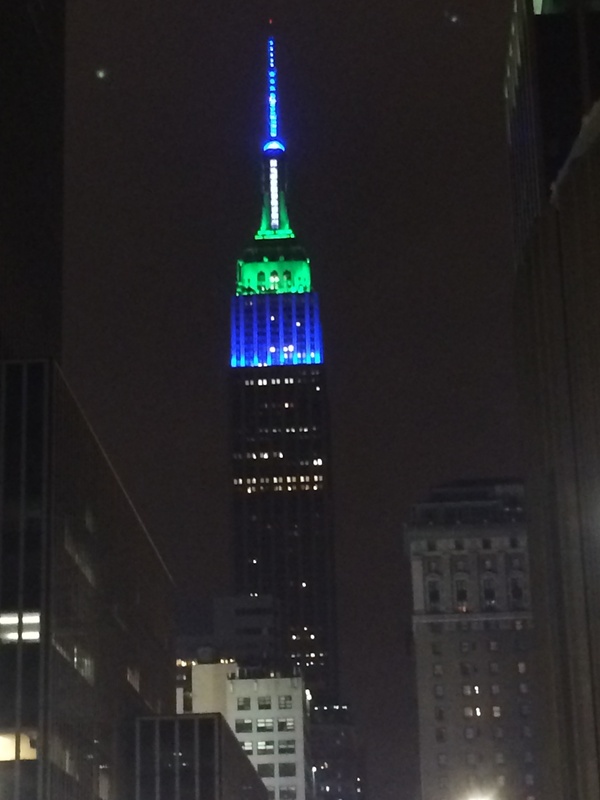 Superbowl Weekend – NYC Baby! I was able to finally get out of New Orleans just in time to meet up with some friends in New York for Super Bowl weekend. I had such an amazing time in Seattle amongst the Seahawks buzz that I wanted to experience it with some of my friends who are the biggest fans. I knew I wasn’t going to be able to go to the game, I didn’t have an extra $2500 for a ticket but to be there before and after the big win was spectacular! 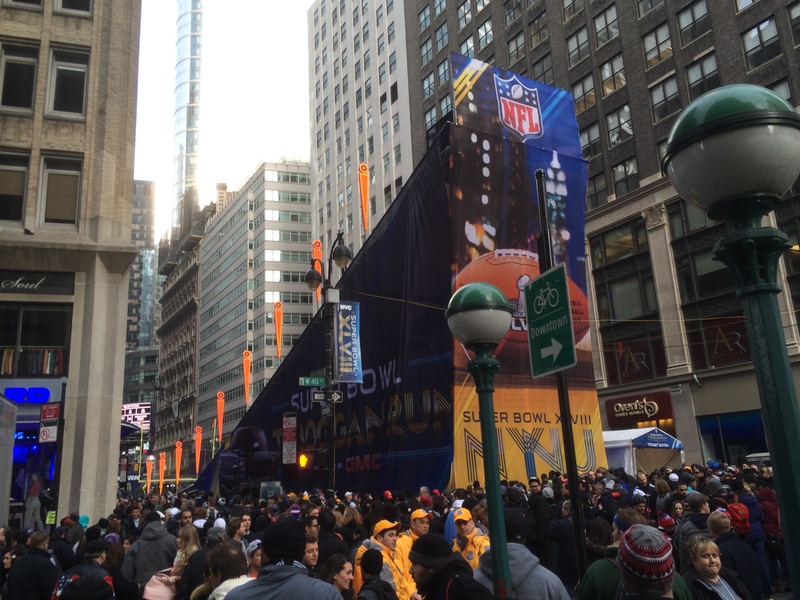 The days were spent walking amongst the chaos of Times Square and its blocks upon blocks of Super Bowl activities. These blocks were close to a living hell for me with people stacked liked dominoes. It took us what seemed like an hour to walk one block and I came as close as possible to a panic attack that I have in my entire life. Thankfully, we had seen enough and I was able to escape the madness. 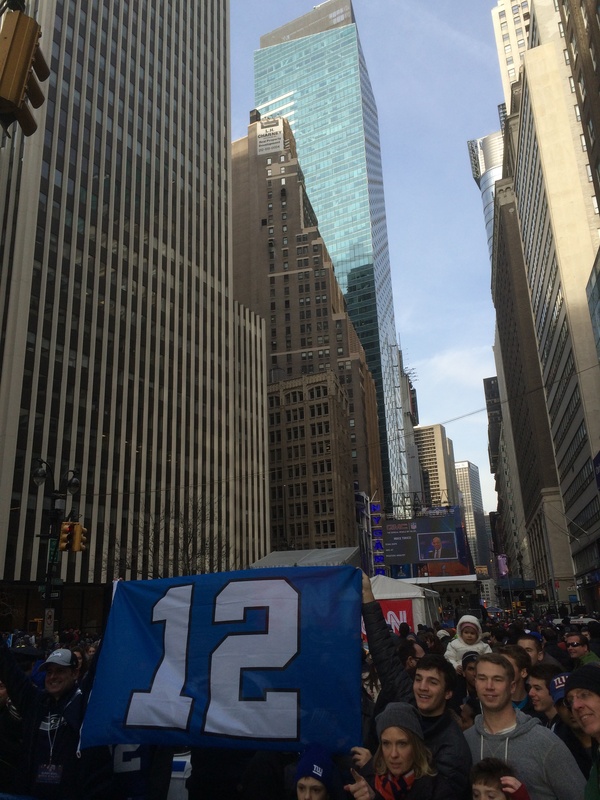 While the crowds were too much for my taste the amount of Seahawks fans within these crowds were amazing! Everywhere you looked there was a 12th Man donning a jersey. 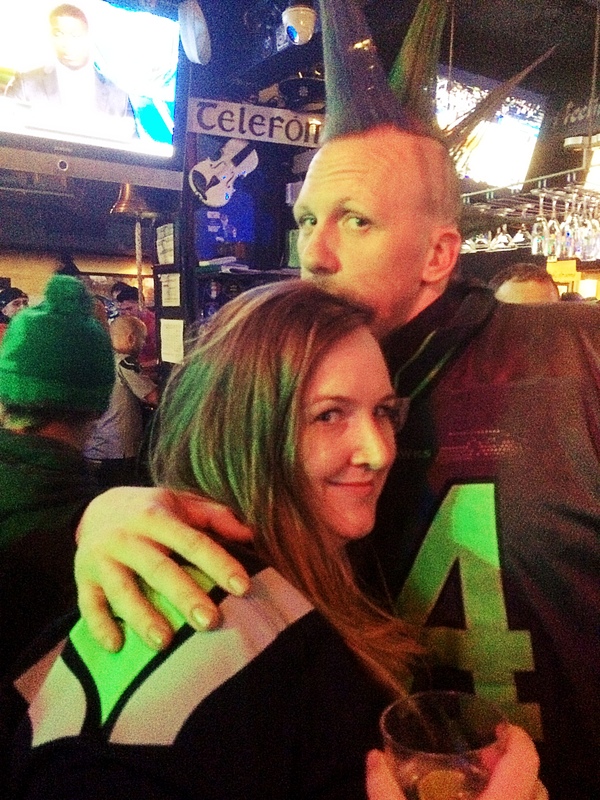 We ended up at various pubs in the evenings packed with Seahawks fans, everywhere we went there they were! In addition to spending time with other Hawk fans and friends I also got some more time in New York City. I was able to spend time with my local friends as well as revisit some of my favorite spots. A weekend filled with good friends in an amazing city topped off with a Seahawks Super Bowl win really can’t be topped, though I will try.